Happy Birthday Jam Club ! 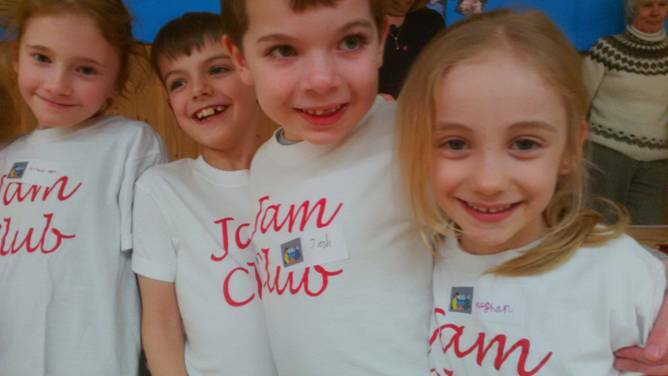 Jam Club started in 2015 and celebrated its third birthday in November 2018! 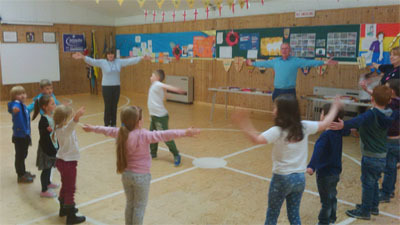 Jam Club meets at Iver Heath Scout Hut, St Margaret's Close, Fridays from 5pm to 6pm. have a games time and, of course, refreshments! It began this fun year, with David & Goliath, Jonah & the Whale and Noah's Big Boat among the themes. 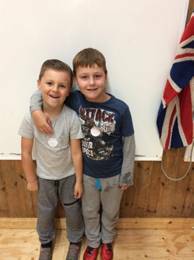 In 2015 we also introduced Jam Tots , our ministry to toddlers and their carers which meets Fridays at 10 am. in the Church Room, attached to the Church. 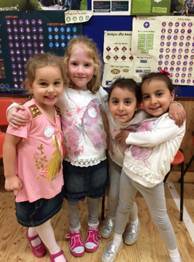 Across these groups nearly 200 children have been involved and in the current school year over 40 are registered. We are so grateful for the teams that deliver these ministries. Please pray for them, that we may impact the lives of many children & families with the love of Jesus! We also have Jam Café which meets once a month and features opportunities for parents and children to meet friends, have delicious eats, and food for the soul from God's Word for today! This month Jam Café is open 4-5 pm. on Sunday February 10th in the Church annexe. Preparations are underway for our new seniors ministry ' Vintage Jam ' which we aim to launch this spring. Vintage Jam ' will be at the Church Centre on the first Thursday afternoon each month. Jam Club T-Shirts are on sale or to order at each meeting for just £6! or with your child's name on for £8! We were very grateful to the Iver Heath Co-op members who made us their favoured charity in 2017. Co-op members raised £2,389 for our Jam Club. In 2015, St. Margaret's began to put into practice the mission strategy called “Church in Community” which the PCC had adopted unanimously. The report proposing the project came from the Church in Community Group. 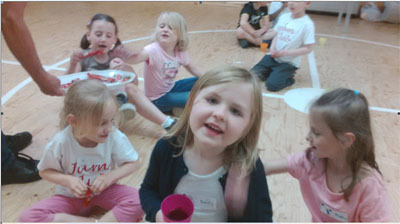 You make the best of friends at Jam Club !